At the end of a stressful day, a bath is the perfect way to relax, unwind, and prepare for bed. 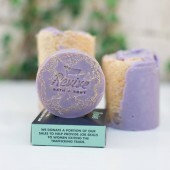 These Lavender Sleep Time Bath Truffles were designed with that purpose in mind. 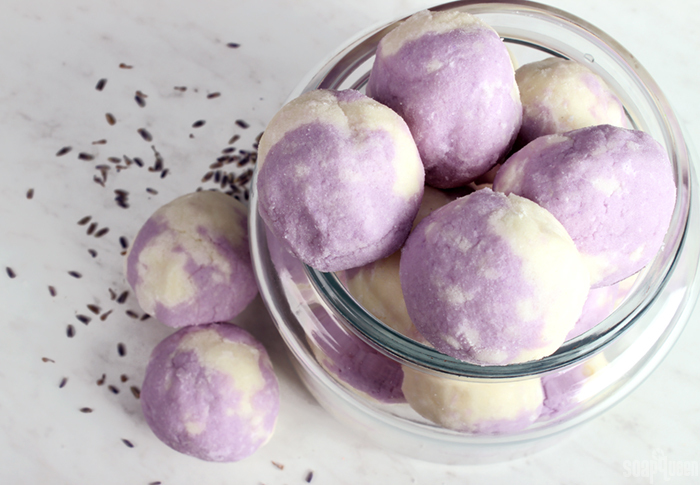 Lavender 40/42 Essential Oil gives these truffles a calming scent – perfect for preparing your mind and body for sleep. 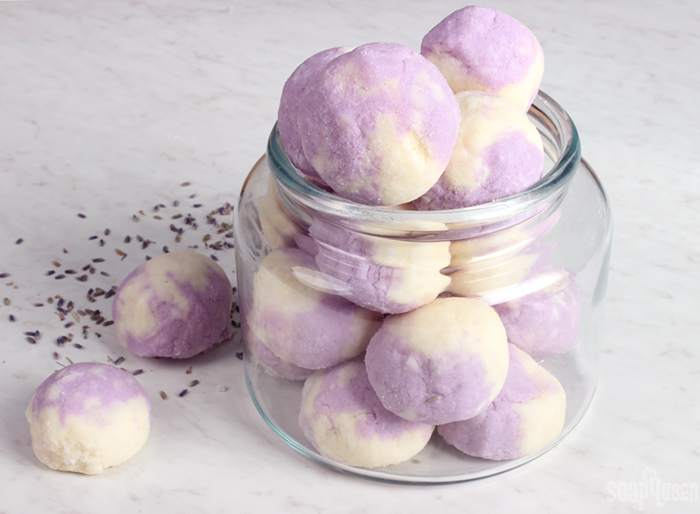 Simple to make, bath truffles are essentially bath bombs with extra skin-loving butters. The large quantities of cocoa butter and coconut oil in this recipe create a texture similar to pie crust or cookie dough. 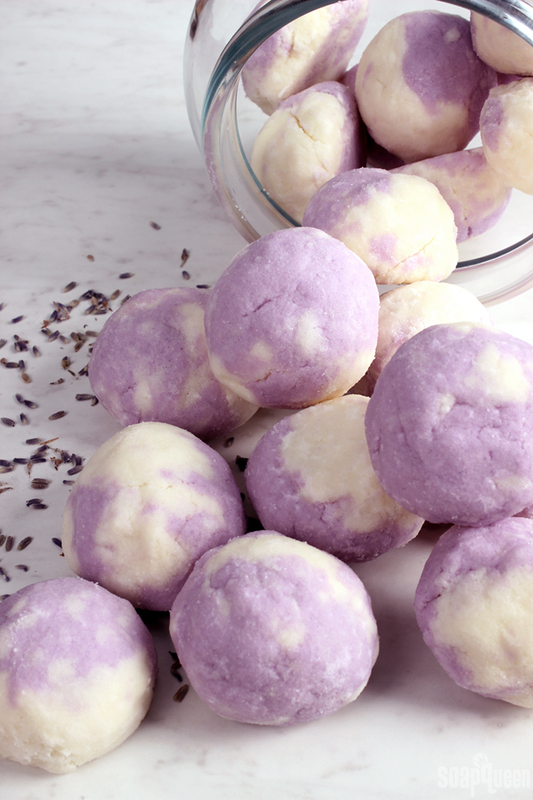 The mixture can easily be rolled into rustic balls of buttery goodness. 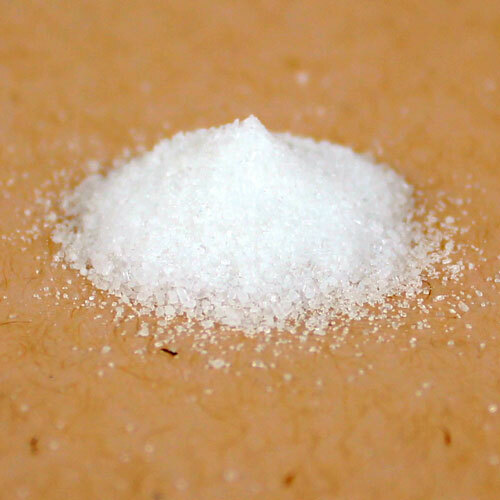 Polysorbate 80 helps disperse the butters in the bath water. But, because there is so much butter and oil, some will still pool on top, so be careful not to slip when getting out of the tub. 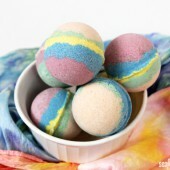 Love the idea of super moisturizing bath bombs, aka bath truffles? 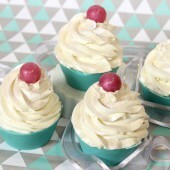 Check out the video for How to Make Bath Truffles on Soap Queen TV. It’s an oldie but a goodie! That recipe contains SLS, which produces bubbles when introduced to water. 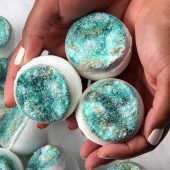 If you want your bath truffle to bubble, check out the Mermaid Bubbling Bath Truffles and the Rainbow Bubbling Bath Truffle recipes as well. 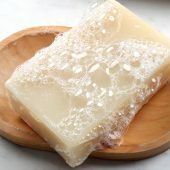 TWO: Melt the coconut oil in the microwave using bursts of 30-60 seconds. Pour the coconut oil into a heat and fragrance-safe container. 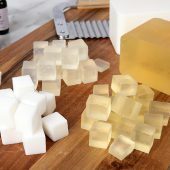 Add the cocoa butter cubes to the container, and heat in the microwave using 60-second bursts until the butter is fully melted. Be careful when removing from the microwave, as the mixture may be very hot. 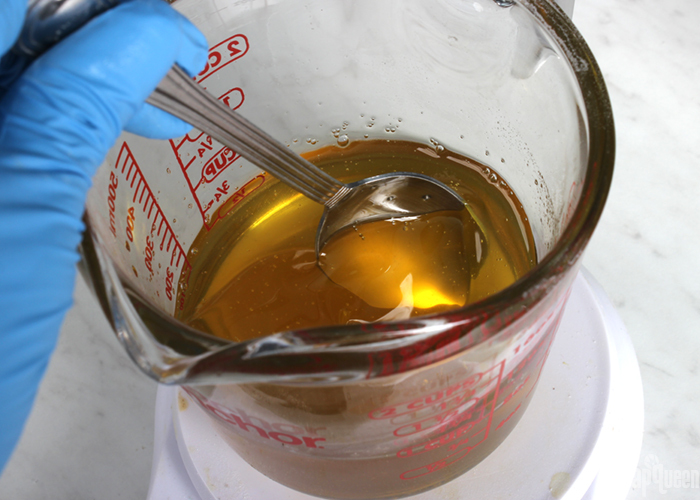 Add the Lavender 40/42 Essential Oil and polysorbate 80, and stir to fully combine. 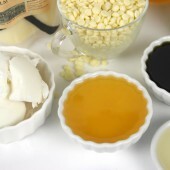 THREE: Add the oil mixture to the dry ingredients. Use your hands to fully combine. 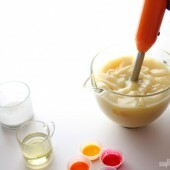 FOUR: Once the ingredients are fully combined, the mixture should hold its shape when squeezed. Split the mixture in half. 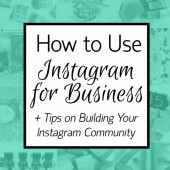 You can eyeball it, but if you’d like to measure each container will weigh about 25 ounces. 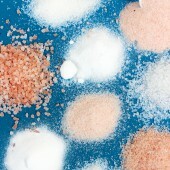 FIVE: To one half of the mixture, add 1 tsp. 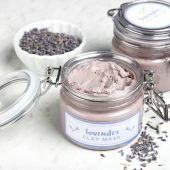 of the Lavender Mica and use your hands to fully mix in. 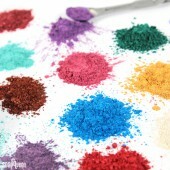 SIX: Grab a small amount of each color and squeeze them together in your hand. Use your hands to shape into a ball. The size of each truffle is up to you. The truffles we created each weighed about 3 – 4 ounces each. SEVEN: Gently place your truffles on wax paper or parchment paper to prevent them from sticking. 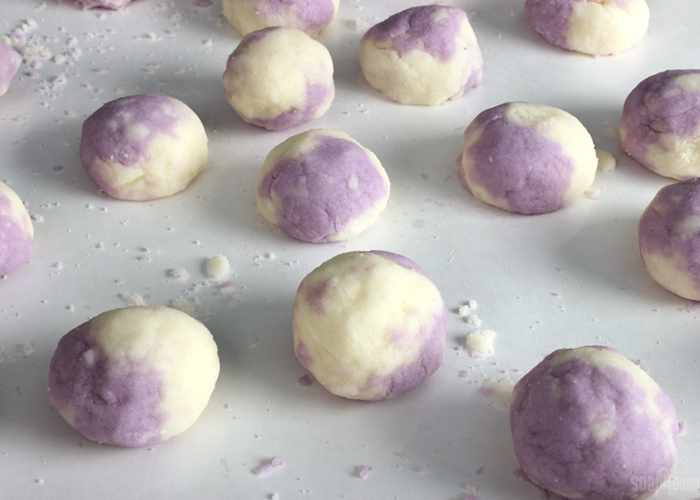 Depending on how hot your butter mixture is, the bath truffles may “deflate” a bit. If you like a rounder shape, you can continue to shape them as they cool on the parchment paper. Continue creating truffles until the mixture is used up. Allow them to fully cool and harden – overnight is recommended. If the truffles are removed from the parchment or wax paper too soon, they may stick. Remove from the parchment paper and store in a cool, dry place. 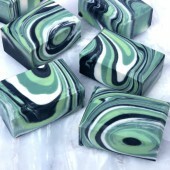 When you’re ready to use, place them in a hot bath and enjoy. 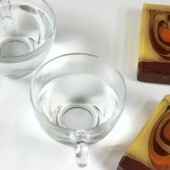 Because the truffles contain plenty of hard butters and oils, very hot bath water works best. Enjoy! 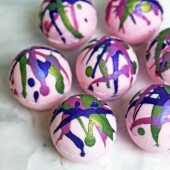 These bath truffles are perfect for a hot bath before bed. 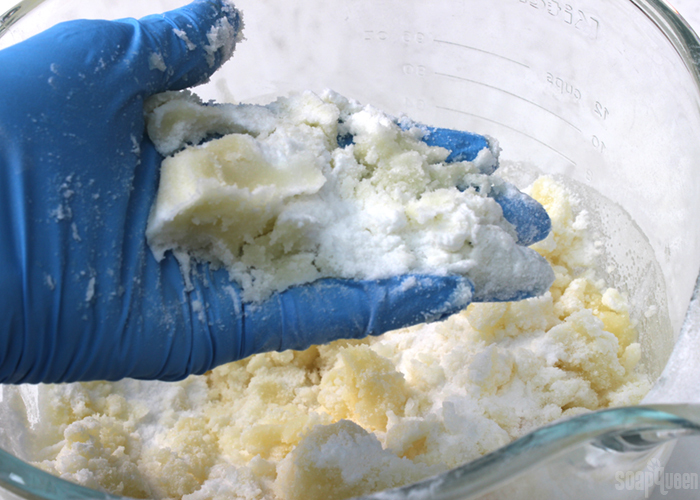 Melt the coconut oil in the microwave using bursts of 30-60 seconds. 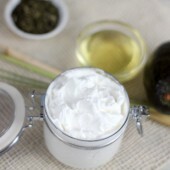 Pour the coconut oil into a heat and fragrance-safe container. 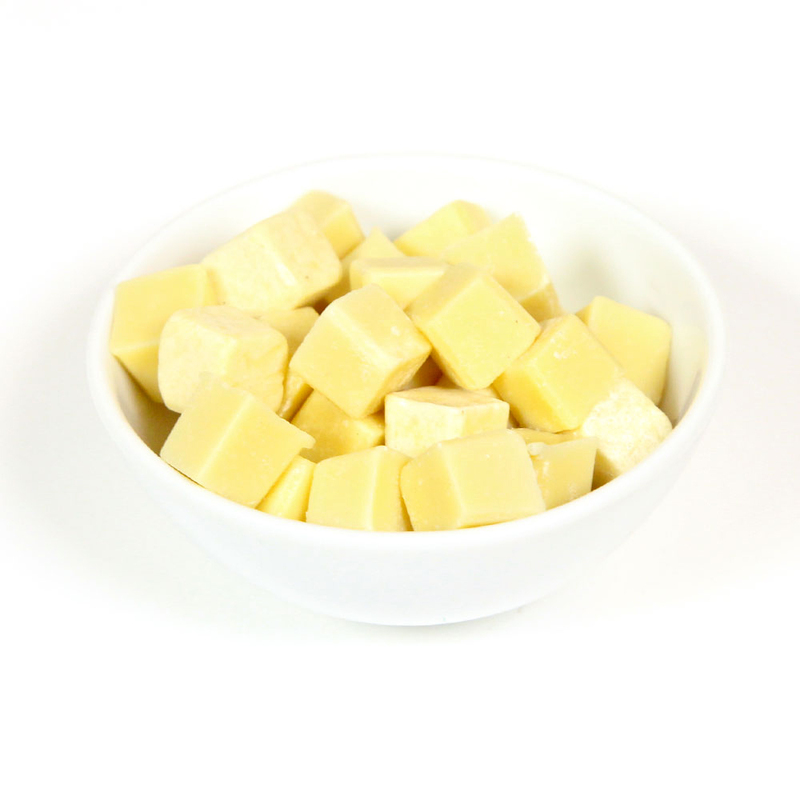 Add the cocoa butter cubes to the container, and heat in the microwave using 60-second bursts until the butter is fully melted. Be careful when removing from the microwave, as the mixture may be very hot. 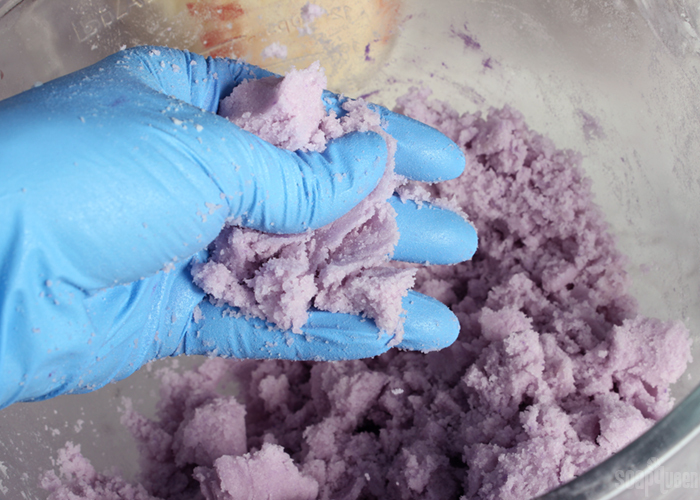 Add the Lavender 40/42 Essential Oil and polysorbate 80, and stir to fully combine. Add the oil mixture to the dry ingredients. Use your hands to fully combine. 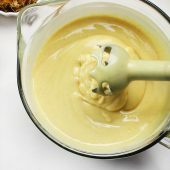 Once the ingredients are fully combined, the mixture should hold its shape when squeezed. Split the mixture in half. You can eyeball it, but if you’d like to measure each container will weigh about 25 ounces. To one half of the mixture, add 1 tsp. 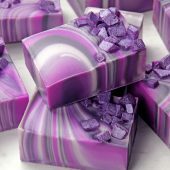 of the Lavender Mica and use your hands to fully mix in. 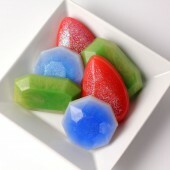 Grab a small amount of each color and squeeze them together in your hand. Use your hands to shape into a ball. The size of each truffle is up to you. The truffles we created each weighed about 3 – 4 ounces each. I would like to swap the cocoa butter with jojoba oil, but I’m afraid they won’t hold together. Is there something else I can add that will make them hold together? 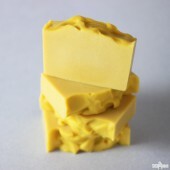 You could try using another solid butter instead of the Cocoa Butter, like Shea or Mango Butter. 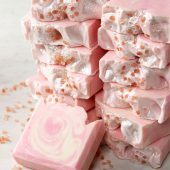 Is this recipe good for all possible bath bombs molds, shapes, or only listed here? 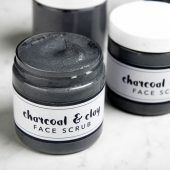 Can i use it with rolled truffle technic? 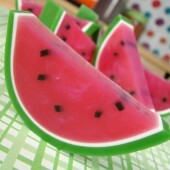 Yes, you should be able to use this recipe in other molds or shapes. Though we have not tried rolling it out like that which may be a bit tricky. If you give it a try you can always shape them into balls or something easier if it doesn’t turn out. 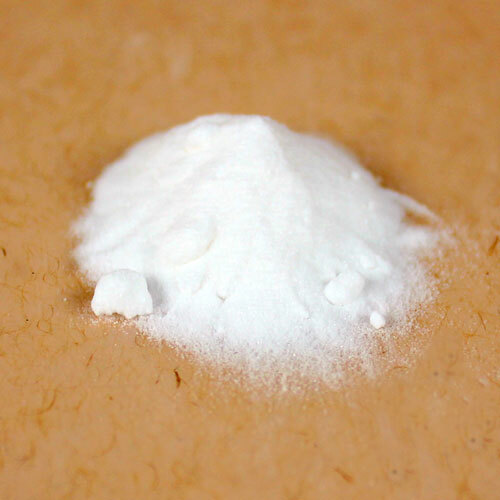 Will milk powders work in place of the SLSA ? coconut milk or goat milk powder. 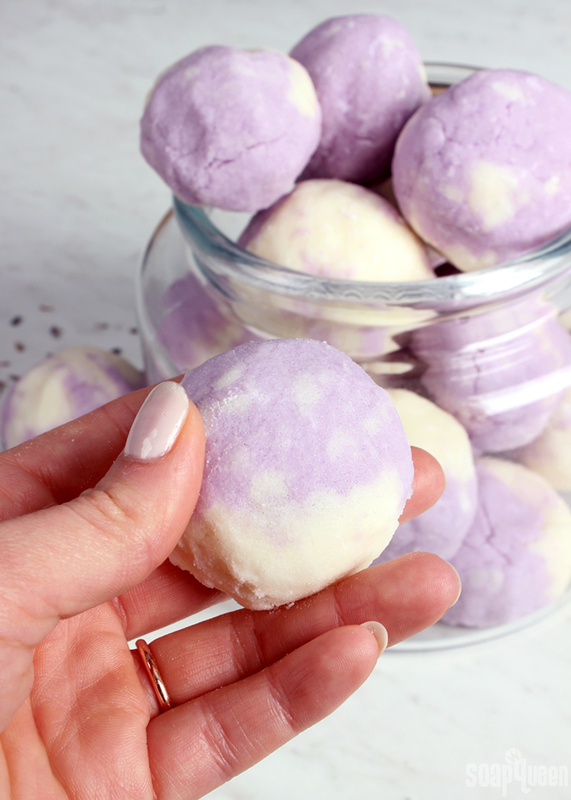 You can use milk powders in bath bombs. They help moisturize the skin. 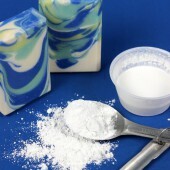 However, they can’t be used in place of SLSA – milk powders moisturize, but SLSA creates bubbles. 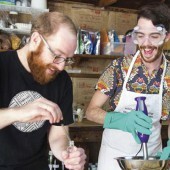 Without the SLSA, the recipe won’t bubble. 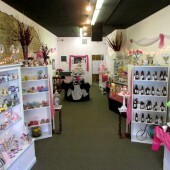 Where I live it is not very humid, but temperatures can be in the 80’s…..will the truffles soften, or melt? 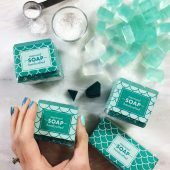 Bath bombs can soften or start fizzing in hot or humid climates. To prevent that, wrap these truffles tightly with plastic wrap and store in a cool, dry place. If you have a fan or a dehumidifier you can use that to protect them from moisture in the air. 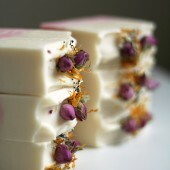 How long should they dry for in a humid climate before you wrap them to avoid fizzing? 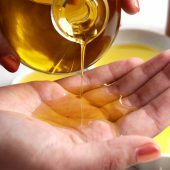 Hi, I was wondering at temperature should the oil be before putting in the fragrance oil and the Polysorbate 80? 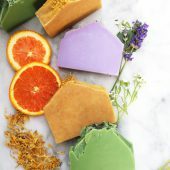 You can add the polysorbate 80 and essential oil once the oil is out of the microwave, we’ve found that doesn’t affect the strength of the scent. 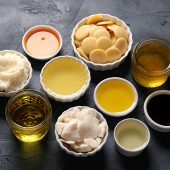 If you want to be extra careful, you can wait until the oils are around 150F. Is this a safe recipe for babies? It seems like you can put the truffle in their water before you bathe them. All the ingredients in these truffles are skin safe. 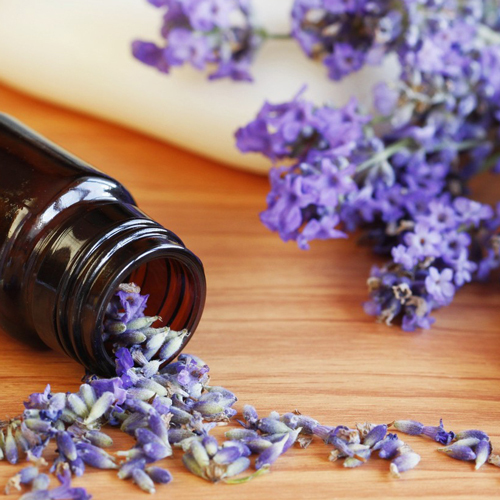 You may want to use less essential oil though – scents can be irritating to those with sensitive skin. Hi. How long will these last if I put them in mason jars? Thanks! We recommend using them within 3-6 months for the best results. Before putting them in the jar, wrap them tightly with plastic wrap. Then, store them in a cool, dry place. That will prevent them from absorbing moisture in the air. I made my first batch of bath bombs in Easter Eggs and they got stuck to the sides and crumbled when I took them out, if crush them back up and a little more oil to them will I be able to salvage these bath bombs. When those bath bombs crumbled, did they feel pretty dry? Or were they more soft and wet? What’s in your recipe? I can help you troubleshoot for your next batch. Can I add SLSA to this recipe? Yes, that will make these truffles bubble as well as fizz. You can add half as much as the citric acid (8 oz.) 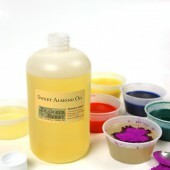 for light bubbles, or the same amount (16 oz.) for more bubbles. The extra powder will make the truffles more dry, so keep extra coconut oil on hand to wet them if need be. Hey made these last night and this morning I have oil deposits on them ?? The truffles should dry overnight. Is it pretty hot in your house? The butter can melt in a warm environment. That happened to my first batch, turns out a scale works best, I believe I put to much oils. Dried over night and all was ok just smoothed over the next day and were perfect had nothing but great reviews about them. Oh good, glad to hear that Louise. 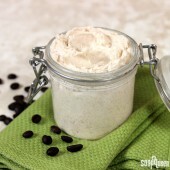 would I be able to use sal seed butter instead of cocoa butter in this recipe? I know the comments said mango and kokum are most like cocoa but I wanted to use up my sal seed. Thanks! We haven’t worked with that butter a lot so I’m not entirely sure. I would recommend making a small test batch with it to see what you think of the consistency. 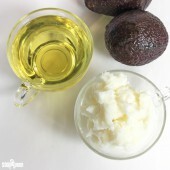 Would there be a problem with using factionated coconut oil instead of regular coconut oil? 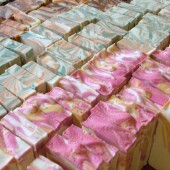 Because fractionated coconut oil is liquid at room temperature, the bath truffles may be a softer consistency. You may want to make a small test batch to see what you think. If you want them more firm, you can add coconut oil or more cocoa butter. 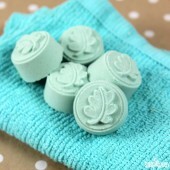 I have bought some cake pop moulds for making bath bombs, will they work? 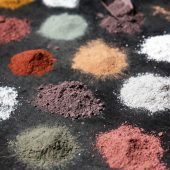 Also I am not going to use the mica powder so will leaving out the 0.5 oz. 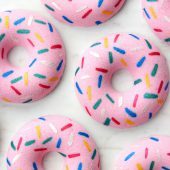 Polysorbate 80 affect the recipe? Thank you. 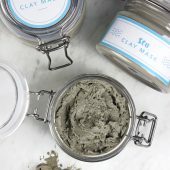 What are those molds made of? 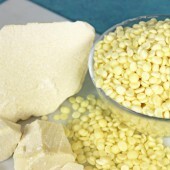 Also, the polysorbate 80 is used for the mica and all the oil in the recipe. 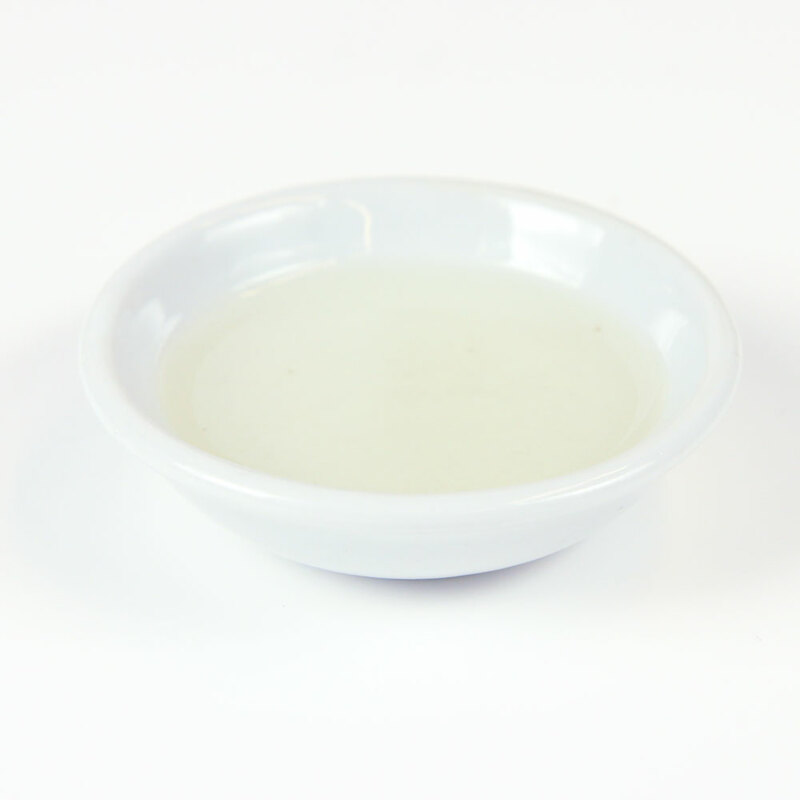 Without it, the oil will pool on top rather than dispersing in the water. The molds are made of silicon. Thank you. 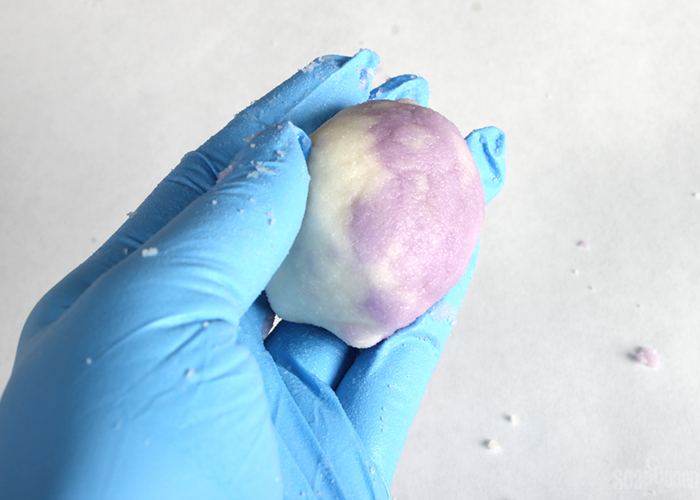 Silicone can be a little tricky when it comes to bath truffles. The soft dough can stick to the sides of the mold. 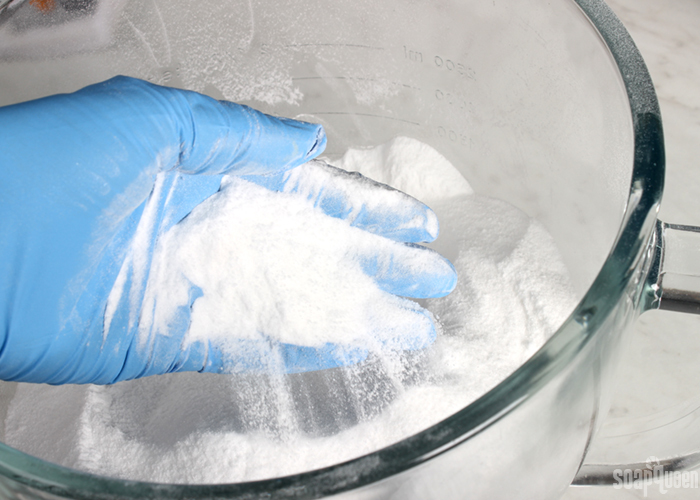 After your mixture is in the mold, place it in a cool, dry place and run a fan over it. You can also use a dehumidifier. After a few hours, check to see if they’re dry enough to unmold. If not, keep checking periodically until you can. I would recommend testing just one or two truffles before making a full batch. That way if you find they stick, you can skip the mold for the larger batch. 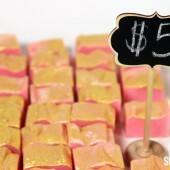 I made these to sell and I tell you what… these babies are a hit! all my nurses at work love them and a few use them on their kids with eczema and they both came back with great feedback ! 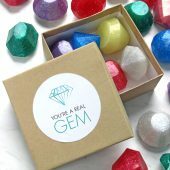 these are easy and little balls of gold! I’m going to continue selling them. We found these took about 1-2 days to harden. Is it pretty hot or humid where you live? How are you storing the truffles? Let me know and I’ll help you troubleshoot. Do these truffles ever get rock hard? I made some and 24 hours later they are still soft. 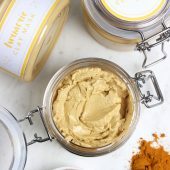 I’m concerned about how to package? They should harden after a day or two. Do you live in a fairly humid climate? 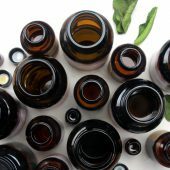 what r the dangers of polysorbate 80 and what is it made from? Is this recipe measured in weight or volume? This recipe is measured by weight, so you can put a container on a scale, zero it out, and measure your ingredients. 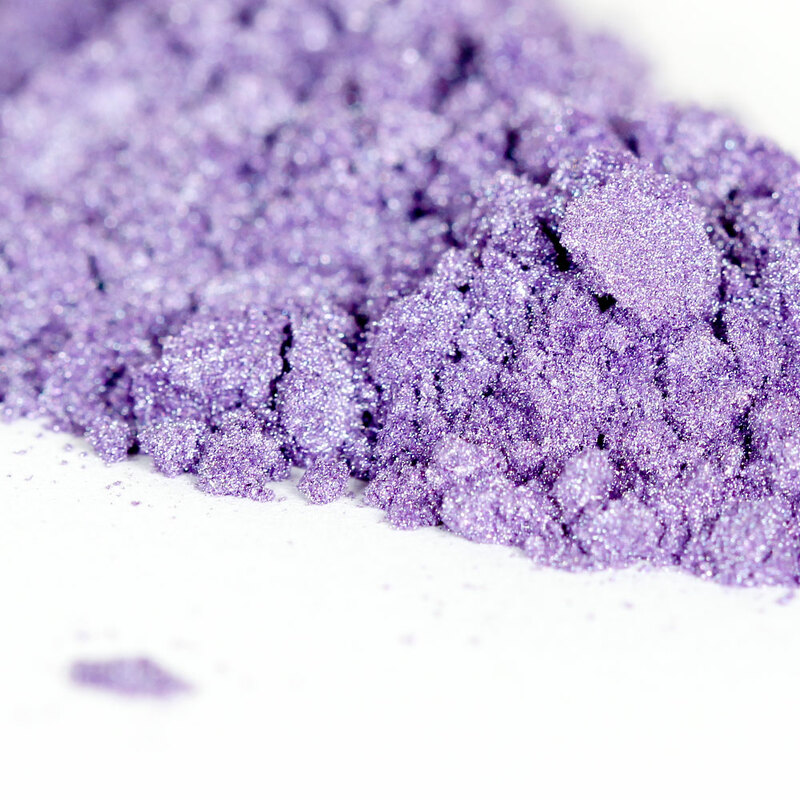 The only volume measurement is the Lavender Mica, which you can measure with a teaspoon. Can any butter be traded for cocoa? 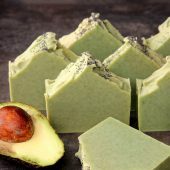 Like mango, shea, or avocado? Even deodorized, sometimes the cocoa butter’s smell is too much for me. 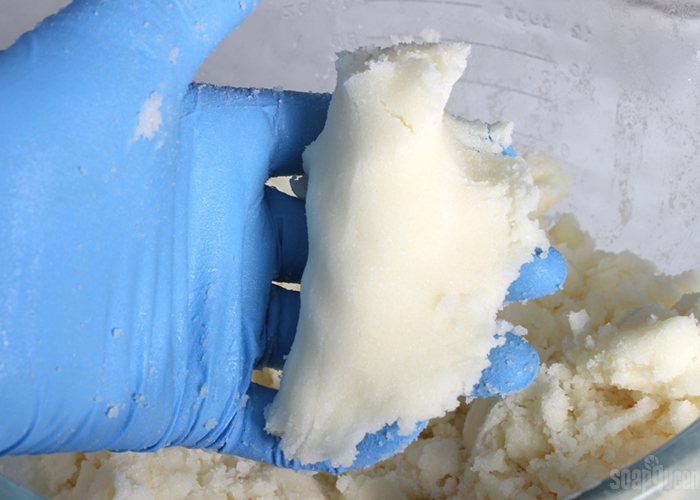 Yes, you can use other butters in this recipe. 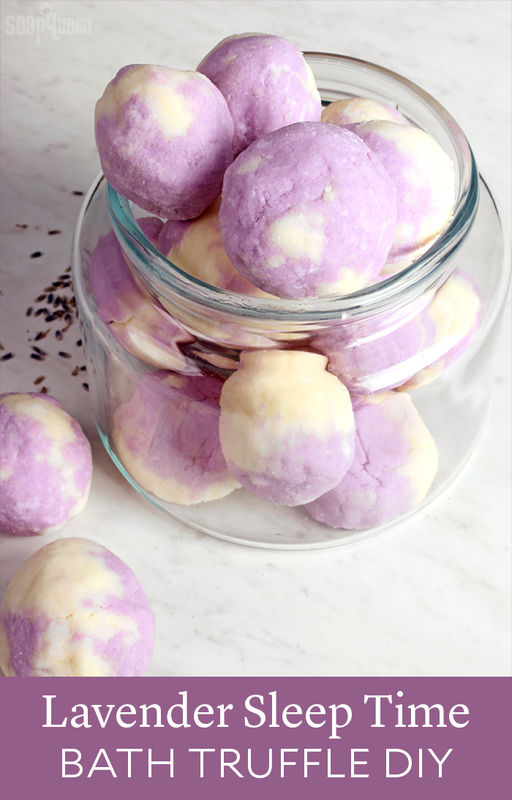 Because they all have different consistencies, they will change the consistency of your bath truffle. 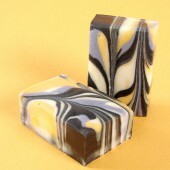 Kokum and mango are the most similar to cocoa butter, as they’re all fairly hard butters. 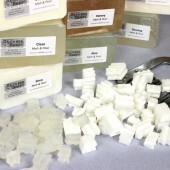 You may want to make a small test batch with the butters to see which consistency you prefer. 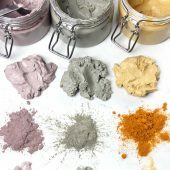 Would purple clay work in place of the mica? Thanks for the tip Kelly! 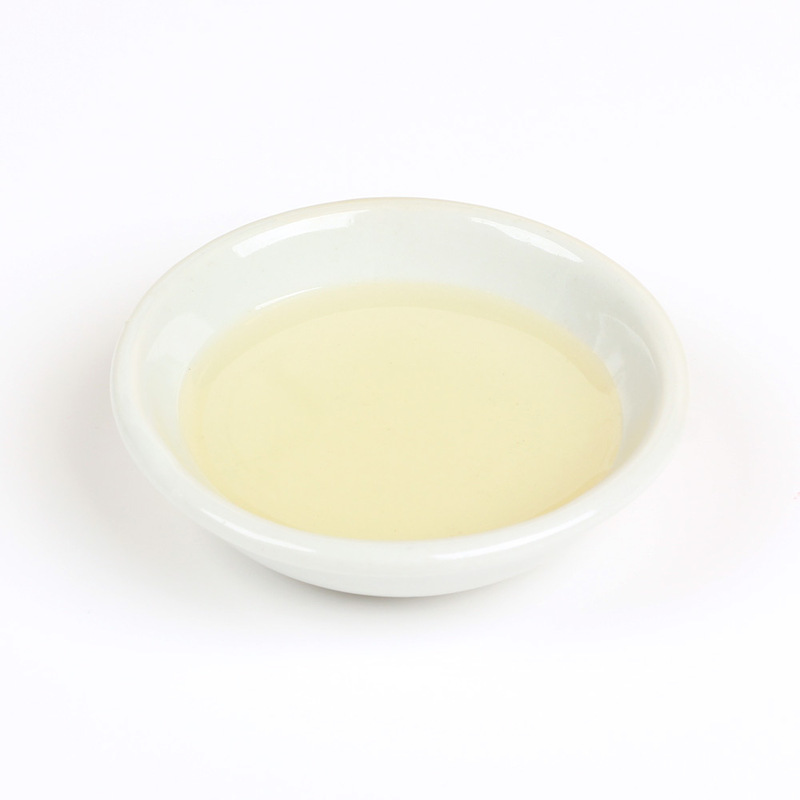 We haven’t found a natural alternative that emulsifies the oil and water like Polysorbate 80 does. You can leave it out of this recipe if you like, just be careful entering and exiting the tub as the oil does make it slippery. 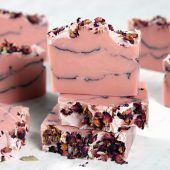 so the difference between this recipe and the rainbow truffles is the fact that it doesn’t contain SLSA(which I’ve read could be irritating to some)? 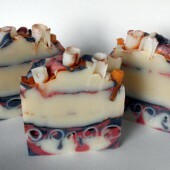 This would be a fizzy, but only with oils and colorant? The size of the product seems very small, would this be enough to treat an entire tub of water? Since this does not contain SLSA, would it be safe for toddlers to use? 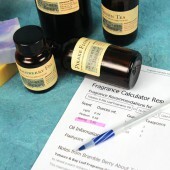 Could the colorant or essential oil be an irritant? I know this recipe includes poly 80, but will it prevent the mica from leaving a ring? The size is actually big. 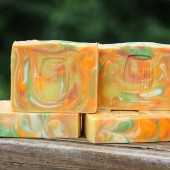 Look at the picture with a hand, plus they said the size is 3-4 oz each. That is plenty for a whole tub of water. We call these truffles because the extra oil and butter gives them a luxurious feeling. 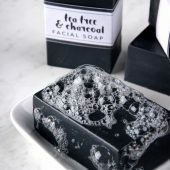 SLSA is skin safe and creates bubbles, while these truffles fizz but don’t bubble. One truffle should be enough for a bathtub, but feel free to add more if you like. 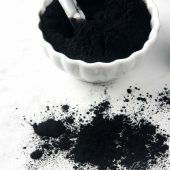 This is safe for toddlers, but if you have any concerns you can leave out the colorant and fragrance to be extra careful. Some people are sensitive to scents and colors. Polysorbate 80 helps disperse the butters in the bath water. But, because there is so much butter and oil, some will still pool on top, so be careful not to slip when getting out of the tub. That may also leave a bit of color on the tub, so keep a towel nearby to wash off any transfer. Can we add polysorbate 20? 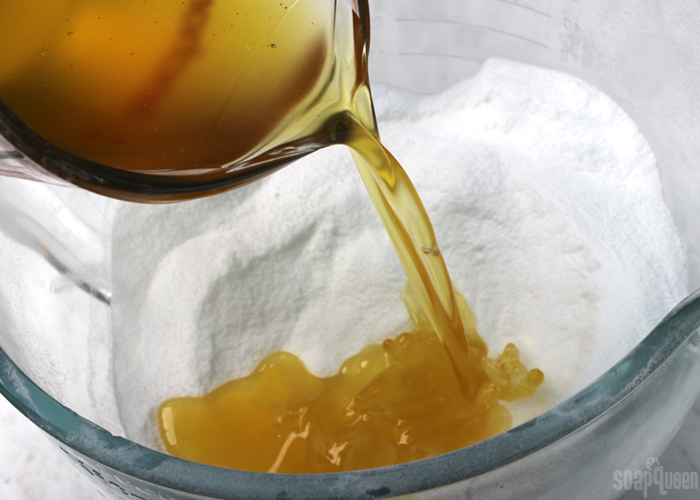 Polysorbate 20 works best for emulsifying lighter and smaller amounts of oils, like fragrance or essential oils. 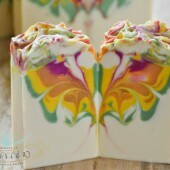 Polysorbate 80 works better because it can emulsify the heavier coconut oil and cocoa butter. You can try the 20 in a small test batch to see if it emulsifies, if not 80 works well. Hi there! 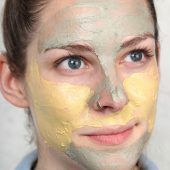 I’m sure you’ve answered this somewhere before, but is there a natural alternative to polysorbate 80? Thanks!